Get CloudAntenna for FREE today! FreeAir.tv - fire your cable company. Watch More. Pay Less. Be Happy. Watch and Record Live TV channels for FREE. Browse the Internet with 4G speeds up to 12 Mbps. Anywhere, anytime with CloudAntenna. Your campaign page URL and social media share buttons contain your unique referral ID for tracking. When you email that link to friends & coworkers or share it on social media, you will get a $10 credit each time someone uses your unique link to back our campaign and purchase one or more CloudAntennas. If you share with a ton of people, and you get credit for more CloudAntennas than you can use, you can hand out the extras out to more friends. And YES, when you hand out an antenna to your friends, they will also get 12 month FREE Cloud TV and World TV service! Explore CloudAntenna OTA DVR and Cloud TV, a better way to enjoy live broadcast TV! Remember Aereo, maybe not. CloudAntenna is a legal alternative to Aereo, with more HDTV to watch, more places to enjoy, more money to save! In 2015, the US Supreme Court may have ruled that Aereo is breaking the law and shut down Aereo offered Cloud TV service.The good news is, the Cloud TV is not dead, it was reborn, better, stronger, with more features. CloudAntenna OTA DVR and Cloud TV running FreeAir.tv service is great alternatives to Aereo and it's still free and legal to get live, local Over-the-Air broadcast TV in HD! Like Aereo, CloudAntenna lets you watch, pause and record your favorite broadcast TV shows on your mobile and internet-connected devices in crystal, clear HD. Read our TV Antenna selection guide to help you to make a right decision for you. Roku’s claim to be America’s favorite media player is new being challenged. The CloudAntenna team has picked up where Roku left, adding an antenna that allows you to record and watch local Live TV, powered by Android TV with millions of apps from Google Play store. Welcome to the world of TV 4.0. Not only are consumers overwhelmed by all of the choices of media players in the market such as: Roku, Apple TV, Smart TV and Android TV they are confused by what channels they will be able to watch. After making a choice of media player, consumers still face a dilemma. If I cut my cable or satellite service, can I still watch my favorite local TV channels and sport teams? CloudAntenna breaks through all of this confusion. 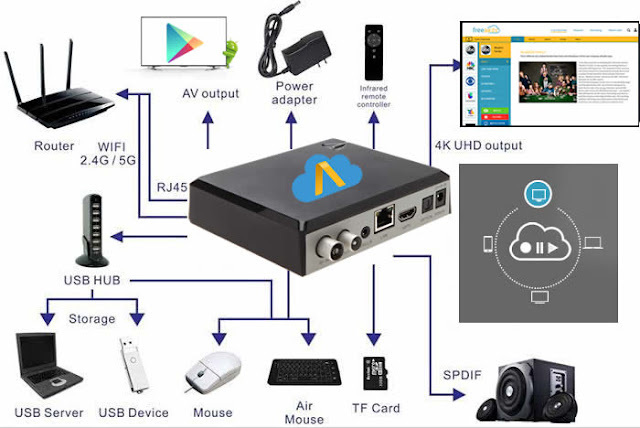 CloudAntenna is integrated with Android TV platform and offers you an advanced, smart, and customizable solution to watch and record live TV channels for FREE!